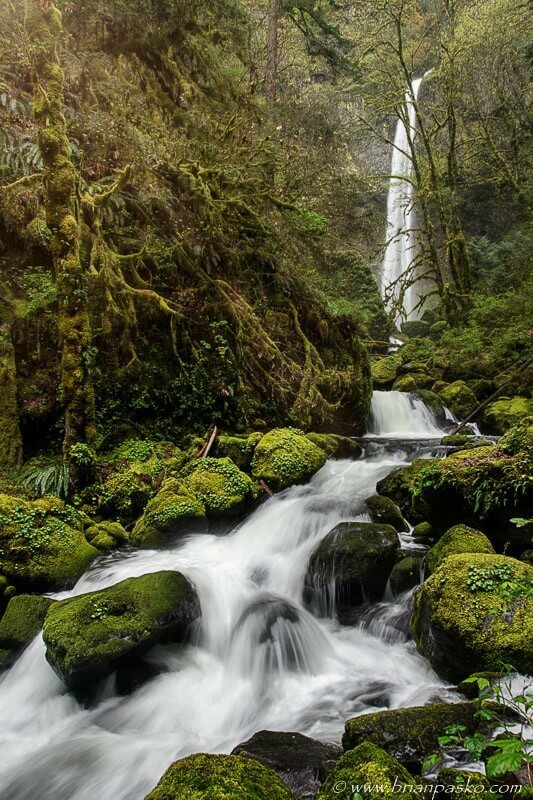 Elowah falls is a hidden gem tucked between large lichen-covered cliffs in Oregon’s Columbia River Gorge. Here, McCord creek crashes out of the forest and plummets 289 feet into a large amphitheater and the deep pool below. The falls are at their best in the late winter and spring, though (like just about everything in Oregon) they are beautiful year round! It took some effort to work my way over the rocks and downstream to get this shot, but seeing the falls from this perspective was well worth the effort!